– A description (as detailed as possible) of what you would like tattooed, Including size and body part, left or right side etc. – Is the tattoo going to be Colour or Black and Grey? – Please attach any images you have as a reference or an example of how you might like the piece to look. – The Black Mark is a 100% private studio, it’s in a safe friendly environment where no one can walk in off the street like a typical tattoo studio and watch you get tattooed. We do not give out our studio address until you are booked in with a confirmed deposit. We are located 5kms north of the Melbourne CBD, with easy access to Trams and Trains. It’s also a short cab ride from the Airport for those travelling from interstate. I can get a lot of emails at times so please be patient while waiting for a reply. If you feel I’ve taken to long to respond or please send another email as sometimes emails are missed or can end up the wrong folder. Be advised that I only take bookings via email so please refrain from contacting me via social media etc for a booking as it will sadly be missed as I don’t check them for bookings. If you have any further questions or enquiries please do not hesitate to ask. New Zealand!! I am excited to be attending the @wellington.tattoo.convention this July and I’m NOW TAKING BOOKINGS for Saturday 19th and Sunday 20th. 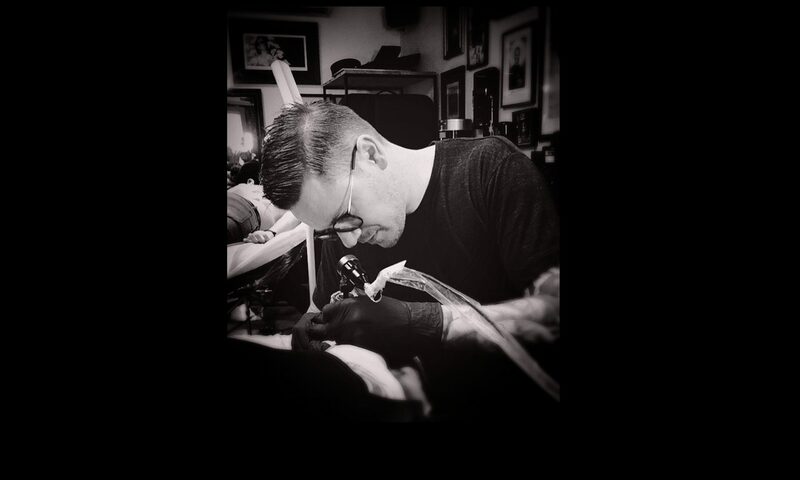 DM or Email mawdsley.dan@gmail.com if you are interested in being tattooed. . . For all artists attending the artist day on Friday 19th July: our team @theblackmarktattoo is hosting a “Better Black and Grey” seminar. Join studio founder Mick squires and the rest of our team as they share their secrets to creating black and grey tattoos. Choosing the right reference pictures, greywash inks, machines, needle groupings. How to achieve better contrast, tones and techniques to help improve your tattooing. This will be followed by a question and answer session.